The BERGGASSE 35 is an historical place of connection. In 1898, the Centre II of the state telephone agency, an exchange office, was built here according to the plans of Franz von Neumann. Today - more than a century later - the house that was constructed in the Gründerzeit architectural style is being adapted carefully and contemporarily. 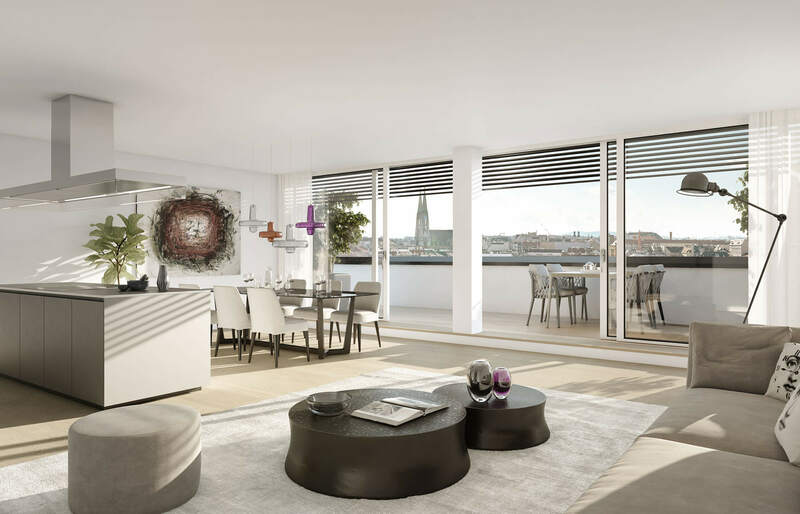 In a prime location in the heart of the Servitenviertel district, the BERGGASSE 35 project is emerging, a new place where you already feel at home. Sigmund Freud, the founder of psychoanalysis, lived and worked just a few houses up the road. He shaped the 20th century with his contemplations like no other. The lively and emerging atmosphere of the area inspires each generation anew. At the start of the 20th century, an interlocutor could only be reached via the exchange office. Since there were already more than 100,000 participants in Vienna in 1928, a specifically Viennese dialling system was developed here. A combination of numbers and digits that later had to be relinquished in the course of internationalisation. Today - more than a century later - Vienna’s unique character becomes a guiding theme. Future connects, because appreciation and openness relate to each other. 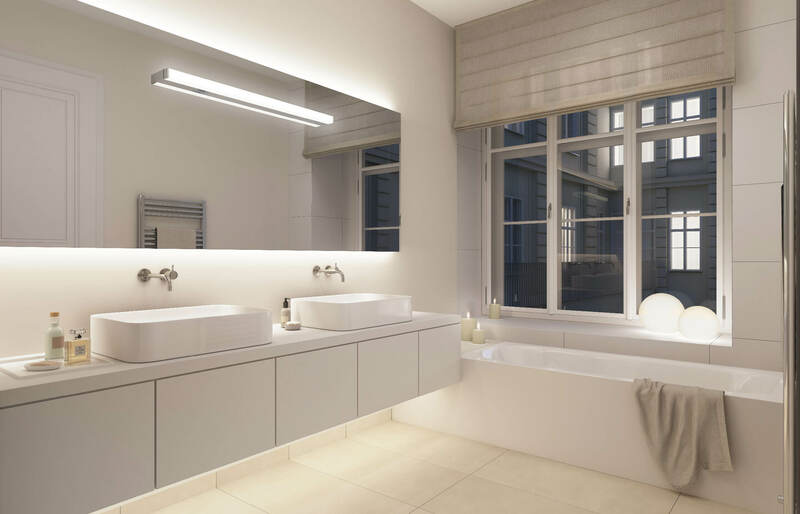 The flawless elegance of the Gründerzeit architecture offers the optimal conditions for a sophisticated reinterpretation. Welcome to the future of housing. The flawless elegance of the Gründerzeit architecture offers the optimal conditions for a sophisticated reinterpretation. 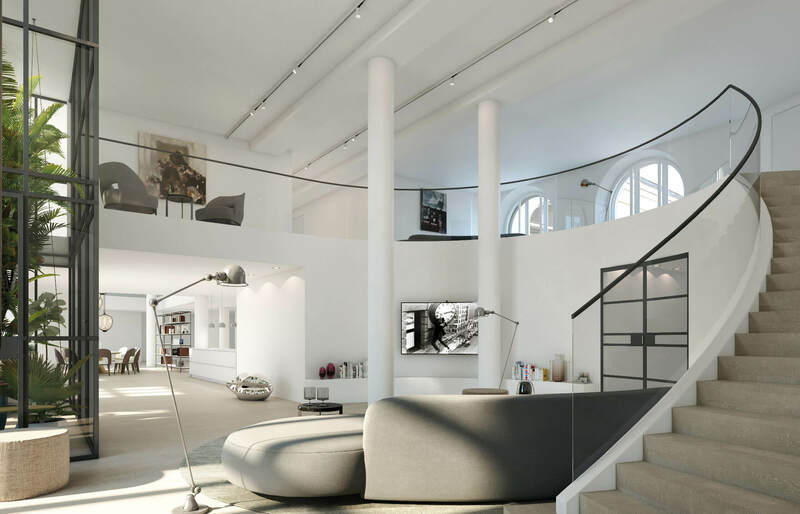 The historical telegraphs hall is converted into the Grand Étage - a spacious living area spanning two floors. Built in 1898 under Kaiser Franz Josef I. The encountered historical building substance will be preserved and carefully refurbished. 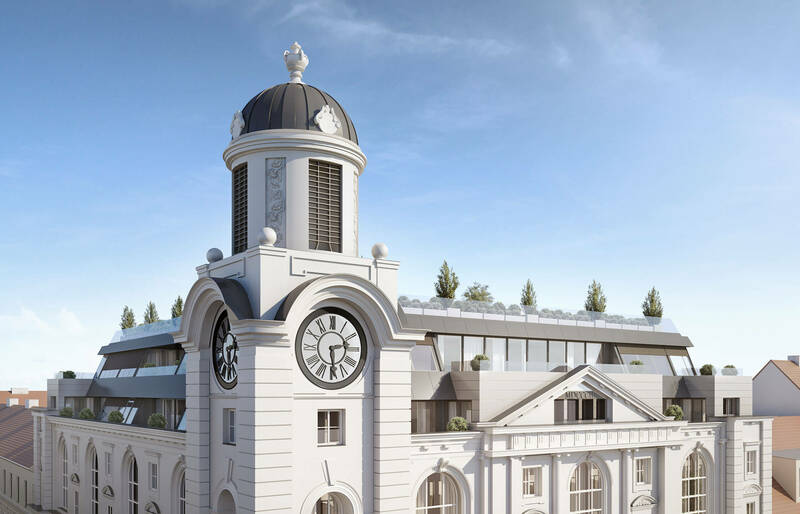 Analogously to the submission in 1897, the tower spire will be newly constructed with lots of attention to detail and appreciation for the building culture. 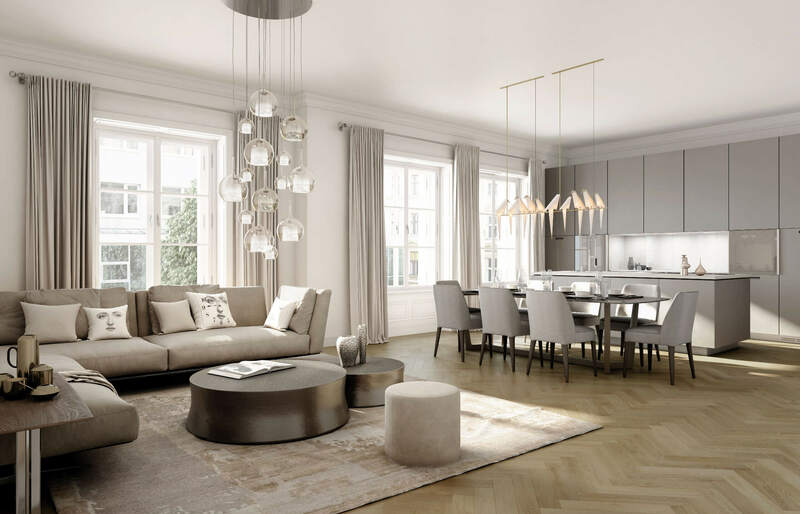 Set in the best location in the heart of the Serviten quarter, the project BERGGASSE 35 is being developed – a new place where you already feel at home. Experience the spirit, think of the future. The historical substance, the modern materials and the clear-cut, open-plan room design result in a charming, elegant Ménage à trois. 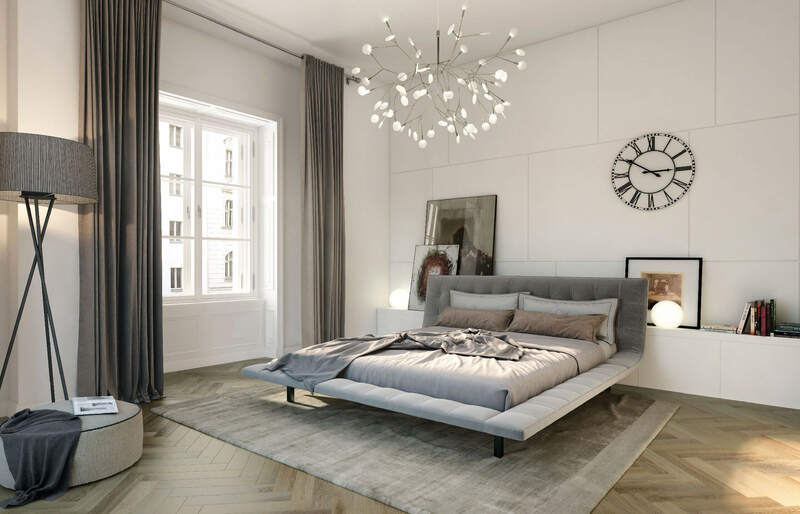 Residing in the BERGGASSE 35 is tied to a special kind of experience. It serves its purpose, but is not completely exhaustedin doing so. For living is worth a lot more. The Grand Étage stands for size, openness and a view on several levels. 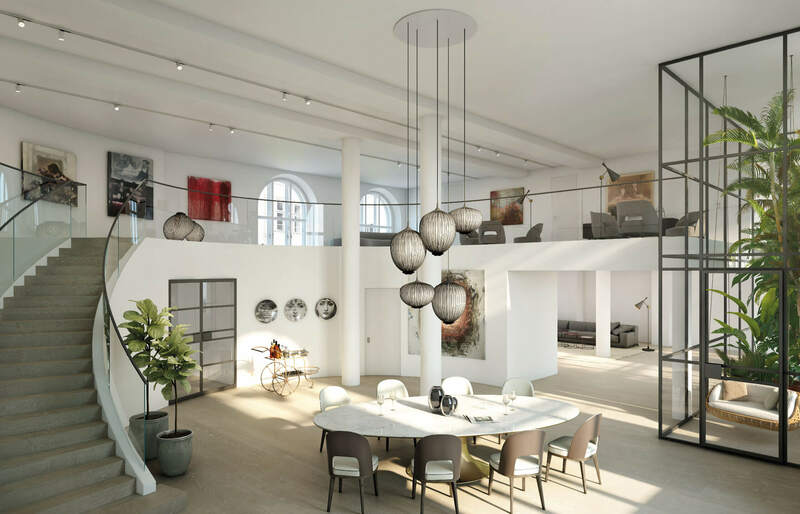 The accomplished fusion of loft, Gründerzeit and monumental architecture opens up more than just the space - breathtaking perspectives and an exclusive atmosphere create the perfect conditions for an eventful and inspired life. Harmony and dissonance let your life chime. Lightly curved and in a wave-like arrangement, the interior landscape stretches across two floors. Historical building culture and modern architecture produce an aesthetic complete image. Preserving the old and daring new things is the motto of the future. The top floor of the Berggasse 35 once again exceeds all expectations. Across all floors, from floor to floor, an optimal level of competence in style, modernity and comfort are offered. 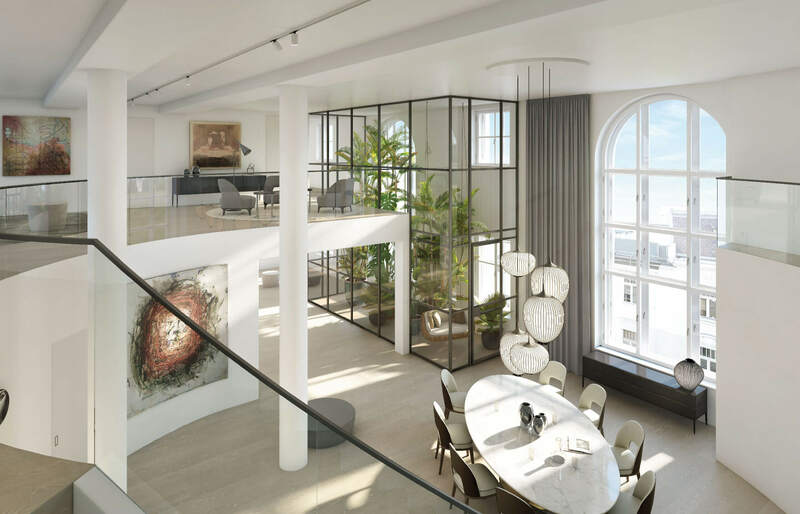 The complete utilisation of the design possibilities once more becomes clear at the top floor, where the observer enjoys a breathtaking view of the city. High above the rooftops, the Servitenviertel district shows its most magnificent side and turns a residence into a timeless event. And not only that - the technical possibilities know no limits - the state-of-the-art flat features (BUS system, AC, floor heating, alarm system etc.) think ahead and can be easily controlled remotely. The Berggasse 35 in 1090 Vienna is a place of gathering – a central address in of the most beautiful districts of Vienna. The historical surroundings, the personal manner, the streets that are lined with young cafés, traditional restaurants and fashionable shops invite you to linger. drinks, simply pleasant - a walk through the Liechtenstein Park, entertaining and more - a visit to the theatre or museum. The world and village meet here on a high level, as do style and comfort, the past and the future. Local supply is also unmatched by the diversity, quality and number of shops. The Berggasse 35 is in a very central location with great transport connections. The tram station of line D is right around the corner, the underground lines U2 and U4 can be reached in just a few minutes on foot. The airport, too, is quickly reached from this location.